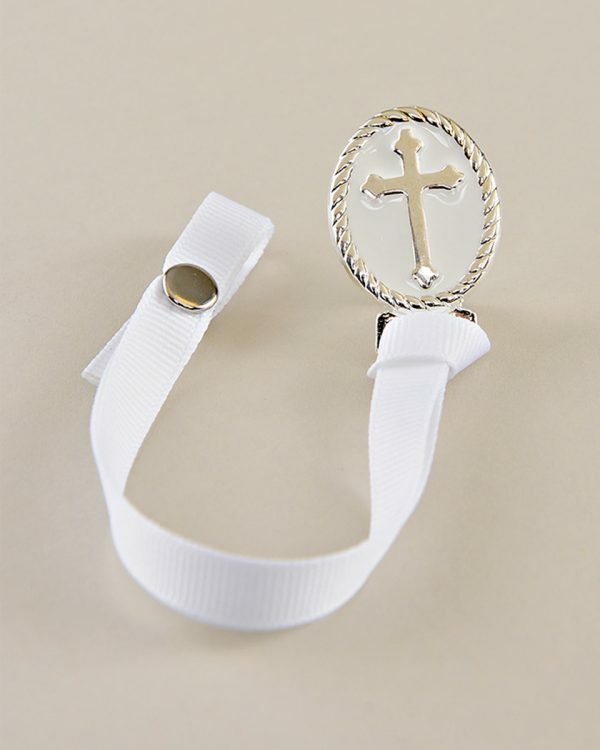 Our elegant cross-embossed pacifier clip performs a stylish, yet valuable service to busy parents. When no longer needed, it can be tucked away as a keepsake. Please note: Our clips are very sturdy and well-made, but as with any jewelry, there is the possibility of breakage and therefore must be used only under adult supervision.